Award-winning author James Brown gained a cult following after chronicling his turbulent childhood and spiraling drug addiction in The Los Angeles Diaries. 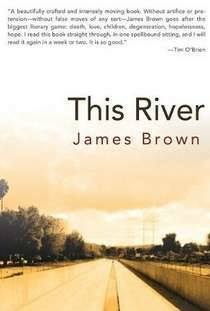 This River picks up where Brown left off in his first memoir, describing his tenuous relationship with sobriety, telling of agonizing relapses, and tracking his attempts to become a better father. This is the heartbreaking and at times uplifting tale of Brown’s battles, peeking into his former life as an addict and detailing his subsequent ascent to sobriety and fight for redemption.